But among the cancers that seem to get less mainstream attention are those that specifically face men. There are fewer organizations raising funds. Fewer signature events. No universally recognized “color of men’s cancer awareness” worn proudly all year long. Less of everything. And without "stuff" -- promoting awareness and understanding -- this is a cancer subset where negative social stigma and misinformation still exist. It is certainly an interesting phenomenon, as awareness and action seem to be challenged by a very tangible disconnect of sorts between men and cancer. Cancer is well-known to be a dangerous life-or-death disease with difficult, weakening treatments, most often requiring acceptance of help from others and reconciliation with the softer side of the human condition. The very nature of the disease and the course of fighting it does not always mesh with the traditional masculine roles society has held up over time. Though many stereotypical long-standing gender roles have been weakened (some even shattered), there is still the overarching concept of men being symbols of strength and as providers, often relying on physical fortitude, health, and libido to arrive at personal worth and self-image. For me, watching helplessly as several men in my life suffered from (and succumbed to) male-specific cancers has only further reinforced my belief in these cultural complications. Men often suffer silently, or with express desires to keep their condition (and their struggle) as quiet as possible. The negative stigma that may have at one time surrounded breast cancer for women is all but gone—but the transformation for other cancers in this regard has yet to complete. Our help is needed. The Movember movement (also known as No-Shave November, or Mustache November) seeks to increase awareness and understanding for cancers that primarily affect men, helping to decrease the stigma surrounding the disease. Though only a few years old, the Movember foundation and concept have experienced rapid growth and international exposure. Here at 5AM, we want to help make 2011 the strongest year yet. 5AM invites you to join the public fight against cancers that strike out at men by growing and sharing your best ‘Mo with us. Grow it, groom it, and show it! Grow it! Take the balance of this month and grow out your best ‘Mo. Groom it! Take the time to groom it, style it, color it, texturize it... or just let it flow au natural—loud and proud. Every 'Mo is a good 'Mo, especially one with a cause! Show it! Snap a pic of your 'Mo and send it over to kwoods@5amsolutions.com no later than December 5, 2011. Remember: This contest is not limited to the men among us! Both the ladies and the little ones can also show their Movember support too, by being creative with a faux ‘stache! For each unique* picture received, 5AM will donate a “Buck a ‘Mo” ($1) to the Movember movement. 5AM will publish and feature a participant gallery of mustaches on our website beginning December 1 and ending on or around December 31, 2011. “Masters of the ‘Mo” in the following categories will be chosen: Best Overall 'Mo, Most Creative 'Mo, Best Group 'Mo (defined as 2 or more individuals, including families, companies, or teams), Best Lil ‘Mo (child under 16), and Best Lady ‘Mo. The judging will take place on or about December 10, and the panel may include employees, clients, or other friends of 5AM. 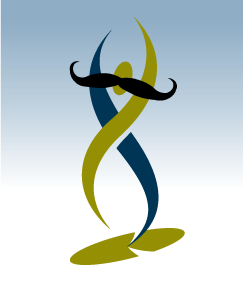 Category winners will receive an additional special $20 donation in their name to the Movember movement. Winners will be notified on/before December 31, 2011. So man up and get your ‘stache on! (*Limited to one individual submission and one group submission per individual. Group submission is defined as inclusion in a family or group photo).